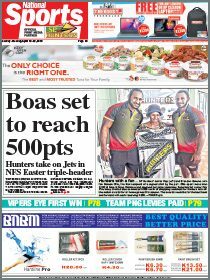 The National is running association profiles in the lead-up to the National Netball Championships in Lae next week. Today’s issue focuses on the Jiwaka Netball Association. Q: How many teams will you be sending? Jiwaka: We are sending three teams — the U15, U21 and A-grade sides. Q: Who are your team officials? Jiwaka: Betty Ben (coach), Jenny Bray (trainer) and Michael Mundyie (team manager). Q: Who are youngest and oldest players? Jiwaka: Aida Bray (11) and Anna Benson (35). Q: How long have you been preparing for? Jiwaka: We have been training for about six months now. Training has been difficult mainly because we aren’t in a proper financial position to engage the services of a qualified trainer/coach to come and provide the necessary training on updated and revised international techniques, so we can better equip our players. We hope to be briefed on techniques so we can perform well at the tournament. Q: What is your goal at the championships? Jiwaka: Our main objective is to expose our talent and skills to the national netball body for scrutiny, mentorship and if possible, the inclusion of one or two players in the national team. 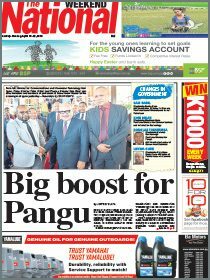 We may lack and fall short in many requirements of Netball PNG, but we gave the passion to develop netball in the province, where the sport is unpopular. We aim to possess the required knowledge, skills and talent to see netball develop in Jiwaka. We have proved our critics wrong and will continue to press on to see netball receive the recognition it deserves. Q: Who are the champions in your competition? Jiwaka: We have four teams in our competitions and they are as follows — KNK Ori (representing women from Kerowil to Sipil in North Waghi), Banz Ambel, Minj Ku (representing women from Minj to Kudjip in South Waghi) and Fawasi (representing women from Fatima, Warakar and Sigiri in North Waghi). Our reigning champions are KNK Ori. Q: Who are your executives? Jiwaka: Catherine Robert (president and acting secretary), Dorothy John (treasurer), Max Mare (adviser) and Christopher Mugang (outgoing secretary). Jiwaka: Over the years, we have sought sponsorship from the Jiwaka government, business houses and other prominent individuals but the response has always been poor. Therefore, it is from our own players’ cash contributions that we are able to attend the championships. Q: Who can we expect to lookout for? Jiwaka: Rosemary Pokom, Vero Ben, Catherine Robert, Naomi Robert, Babra Yumbol, Dii Patori and Allison John. Q: Who are the players in your teams? Jiwaka: Rosemary Pokom, Naomi Robert, Allison John, Rosemary Wandil, Zoorah Kasim, Merolyn Kiap, Georgina Du, Anu Palu, Aida Bray make up our U15 team. Gawai Ambang, Vero Ben, Esther Sak, Joyce Simon, Georgina William, Jacinta Kos and Jacinta Asip make up our U21 team. Anna Benson, Tua James, Christine Labe, Dorothy John, Catherine Robert, Babra Yumbol, Jenny Bray, Mrs Ismael, Dii Patori and Anna Peter make up our A-grade side. Q: What are the players’ hobbies? Jiwaka: Generally, their hobbies are alike in most areas such as playing sports, especially netball, weaving bilums, reading books and listening to music. All the players are from Jiwaka except primary school teacher Christine Labe and her daughter Zoorah, who are from Sepik. Q: Who is the netball player they look up to? Jiwaka: Since most of the players are illiterate and have little access to media coverage, they have limited knowledge about all the national players. They don’t really have a role model that they look up to even though they wish they had. Q: What do the players want to be when they grow up? Jiwaka: Most of our young players wish to have a good career in the sport and be successful in their future endeavours.